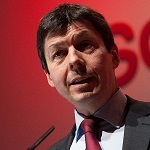 Ken Macintosh MSP says the next Deputy Leader of the Scottish Labour Party should be a councillor. In defeat, Scottish Labour can either find a quick fix to our long-term problems or we can make the radical changes our movement needs to reconnect with Scotland. The Labour Party has always championed fairness and tackling inequality, but in the past our internal structures have not reflected that same drive for equality. We need to become more open, more transparent and we must shift control of our party from the corridors of power to the communities of Scotland. With over 300 Councillors working day in day out, it’s time to ensure they have a real say in the leadership of our party. That’s why I believe the next Deputy Leader of the Scottish Labour Party should come from local government. Take it for a councillor to be deputy it would need to be somebody most of the public has heard of. Experience at the top level would be helpful.